There are some clear signals that Scott Grainger will eventually end up with Abby Newman . Although Scott is pursuing Sharon at the moment, there are obvious indications that he will switch his affections to Abby in the future. Victor has hired him to work at Newman Enterprises so that he can keep an eye on his daughter. He doesn't feel that she is street-wise or experienced enough. Scott, however, is a journalist and has no business experience. That alone has aroused Abby's suspicions. The two will be in close proximity and they will most likely fall in love. Abby will also soon realize what a fondness Scott has for sweets. He sure likes his doughnuts, doesn't he? The fact that Scott and Abby aren't getting along right now is another signal that there will eventually be a romance. The Newman heiress finds Scott annoying and self-righteous, but her feelings toward him will likely change. It's a common tactic on television and in movies for couples to dislike each other at first. Scott, however, may inadvertently uncover Abby's secret deal with her Uncle Jack. That will probably ruin Abby's chances of becoming Victor's successor and the future CEO of Newman Enterprises. Methinks Mariah Copeland has become too big for her britches. She's been acting very cocky lately. I know Hilary has treated her abysmally. However, Mariah's living a jet-set life with Devon now. Was it really necessary for her to have a cat fight with her nemesis or to wear Hilary's dress to work? Mariah has always criticized wealthy people. Now, she's flaunting her relationship with billionaire Devon. That seems quite hypocritical to me. What's going on with Tessa? What's her game? Is she really so grateful to Nikki or is she hiding her true intentions. Is Tessa sincere or is she a big con artist? Is she ingratiating herself with Nikki so that she can get close to Nikki's grandson, Noah? Is she just a gold digger who is hoping to marry Noah so that she can live the Newman lifestyle as a lady of the manor? I've been wondering about that incident where Tessa tried to stave off the unwelcome advances of a sleazy patron at The Underground. Was that a set up so that Noah would save the day? We'll soon find out. 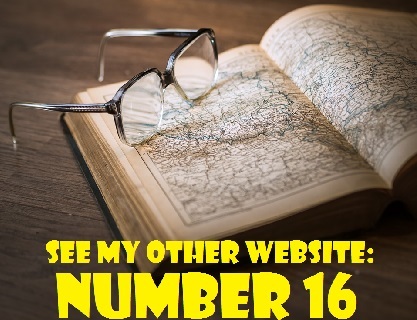 Well, the Battle for Billy Boy has begun and Victoria seems to have the upper hand right now. Phyllis, who is not known for her prowess in the kitchen, tried to surprise Billy with a soufflé. Billy showed up, but was in a rush to leave for Los Angeles. He explained that he couldn't stay and left in a hurry. Perhaps Billy's quick exit was for the best because the soufflé sank when he slammed the door. Both Phyllis and Victoria are determined women. Victoria is using Billy's ties to the children as a means of winning him back. Phyllis is starting to feel insecure. In the previews, Phyllis was shown secretly arriving in Hollywood to spy on Billy and Victoria and to keep them apart. Maybe the door will be lift open for any of them to return in the future. For sure, if we survive long enough, we will see Bella return someday as the reincarnation of the evil Chloe, especially if she finds out that the DNA results were switched and her real father is Billy! Well CC, the door remains open for Kevin's return someday when Bella is older. Since characters age much faster on the soap, maybe she'll be involved in a love triangle with Connor Newman or Johnny Abbott, son of Billy and Victoria. Remember that Johnny and Connor are half-brothers because Chelsea is Johnny's biological mother, But wait! If Billy turns out to be Bella's father, then Bella and Johnny would be half-siblings. Oh no! Let's not go there. Philomena in Woodbridge, Ontario thinks that Tessa may be linked to Ian Ward's cult. It would be fun to see Ian again, wouldn't it? Greg Rikaart is leaving his role as Kevin Fisher after 14 years. 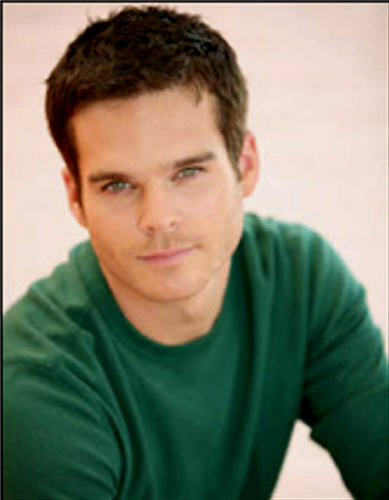 Greg joined the cast of The Young and the Restless back in 2003. However, his contract has not been renewed and he will be exiting the show sometime in August. That means that Kevin will be leaving town this summer with Bella. It's odd that Kevin is being written out of the show at a time when he is involved in a big storyline. Nevertheless, Greg Rikaart's fans should take heart in the fact that Kevin is not going to be killed off. He can easily return in the future. Jill will soon be returning to Genoa City. Jess Walton has been on a short hiatus in Oregon awaiting the birth of her third grandchild and first granddaughter. 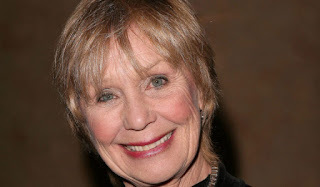 The actress told Soap Opera Digest that she will be back in the studio to resume her role as Jill in a couple of weeks. Fans will recall that Jill and her scoundrel of a husband, Colin Atkinson (Tristan Rogers), left town in March to travel the world. Tristan Rogers' status with the show is less clear. At this time, it has not been confirmed whether the Australian will be returning with her. The Brass &Sassy crew is in Hollywood filming a commercial. Since Y&R is filmed in Los Angeles, CBS did not have to spend a great deal of money on travelling to a far-off location. Hilary is in Hollywood too. Y&R's executive producer, Mal Young, told Entertainment Weekly that Hilary "will stop at nothing to interview her idol, Julie Chen,” for GC Buzz. The Hollywood-themed storylines begin airing Monday, May 15 on CBS. They started airing on Global TV in Canada on Friday, May 12. Chen, one of the hosts of The Talk, will make her cameo on May 17 on CBS (May 16 on Global). One Y&R cast member and one former cast member received Daytime Emmy Awards on April 30, 2017. Gino Tognoni (Phyllis Summers) won the Emmy for Outstanding Lead Actress in a Drama Series. Steve Burton (ex-Dylan McAvoy) won for Outstanding Supporting Actor in a Drama Series. 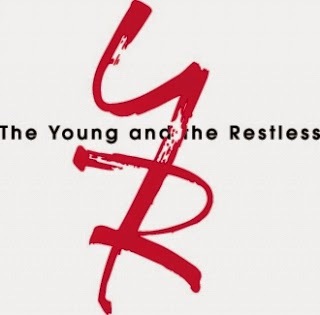 The Young and the Restless also earned an Emmy for Outstanding Drama Series Writing Team. Dina Mergeron has returned, but why? Does she have an agenda? Why has she decided to sell her company. Does she simply wish to retire with loads of money and reconcile with her children, or does she have other motives? Madam Mereron is one tough cookie and she drives a hard bargain. Her reemergence has rattled her family and other Genoa City residents. Why do you think she has returned? Respond to the poll below. Why do you think Dina has decided to sell her company? She just wants to retire with as much money as possible. She has a hidden agenda and is hiding something. She wants to make amends with her children. That's all for now. Don't forget that the next edition of Y&R Report will be posted in this space on Saturday, May 27, 2017. Enjoy the rest of the May sweeps and the great Hollywood adventures of your favourite Y&R characters. Check out their sunglasses.